Oil refining efficiency is particularly important. Hofmann plate heat exchanger has compact structure with high heat transfer efficiency, can provide excellent heat exchange solution to achieve higher resource utilization efficiency for all kinds of oil, gas heating and cooling, waste heat recovery and gas purification. 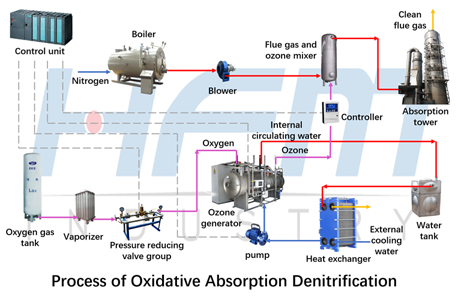 Ozone denitrification refers to oxidizing the NO in the flue gas to high nitrogen oxides using the strong oxidation of ozone to achieve the purpose of emission standards. Ozone denitrification takes place at low temperatures, so ozone cooling is critical. Ozone is mainly prepared by oxygen. When ozone is produced in the ozone generator, water is used to cool the ozone. The internal circulating water in the ozone generator is cooled by a plate heat exchanger and then pumped into the ozone generator again to achieve the purpose of water recycling. Power wave purification system is mainly used for dust removal and removal of arsenic, selenium, fluoride and other impurities. 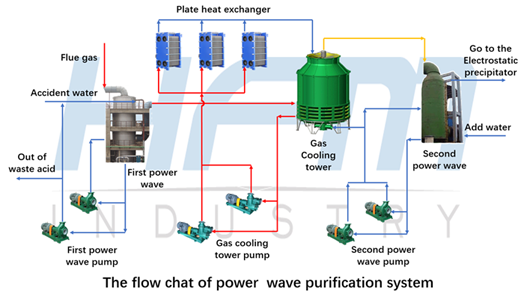 The dust furnace first enters the primary power wave washing device and rapidly cools and removes impurities, and then passes through the gas cooling tower for further cooling, and finally passes the second power wave washing device to further remove impurities and acid mist. Plate heat exchanger is mainly used to cool the cooling medium in the gas cooling tower in order to achieve the purpose of circulating coolant. Hofmann can provide you with a full range of heat exchange solutions, greatly reduce your production costs, in addition, it can also provide you with heat exchanger spare parts and a subsequent heat exchanger cleaning and maintenance.